Arizona Statute of Limitations: How Long to File a Personal Injury Case? How Long Do I Have to File Suit for an Accident or Personal Injury in Arizona? The statute of limitations for most personal injury cases in Arizona is 2 years. As is always the case when it comes to the law, there are exceptions. In Arizona, plaintiffs only have a certain amount of time to file a personal injury lawsuit. This time limit is dictated by the “statute of limitations” set by Arizona law. The purpose of the statute of limitations is to protect defendants from never-ending threats of litigation, and to make sure lawsuits are brought when important evidence is still available. If a plaintiff fails to file their lawsuit within the time limit, the defendant can have the plaintiff’s case dismissed. This means the plaintiff won’t recover any damages even if the defendant is clearly liable. How long do you have to file a personal injury lawsuit? The deadline for filing a personal injury lawsuit in Arizona is generally 2 years. This means that if you’re injured by another person—whether the injury was caused by the other person’s negligence or an intentional action—you have 2 years to file suit with the court. What if the lawsuit is against the city, county, or state? If you want to file a claim against a public entity, public school, or a public employee in Arizona, you must file a claim within 180 days. The claim must be filed with the person authorized to accept service of process on behalf of the specific public entity or public employee. Enjuris tip: If you have any doubt about where you need to file your claim, contact an experienced personal injury attorney in Arizona. Filing your claim with the wrong entity can result in the loss of your right to file a lawsuit. Once the claim is filed, the public entity or employee has 60 days to respond. If the claim is denied (or if no response is received), you’re allowed to file a lawsuit. This lawsuit must be filed within 1 year of your injury. Are there any special rules for product liability cases? Breach of an express warranty. What is the statute of limitations in workers’ compensation cases? In Arizona, a workers’ compensation claim must be filed within 1 year from the date of the injury (or from the date the injury is discovered). Enjuris tip: Regardless of any forms that your employer may file, it’s your responsibility to file either a Worker’s and Physician’s Report of Injury or a Worker’s Report of Injury with the Industrial Commission of Arizona within 1 year of the date of your work-related injury. When does the clock start ticking? Once you know the applicable time limit for filing your lawsuit, you’ll need to know when the clock starts ticking. 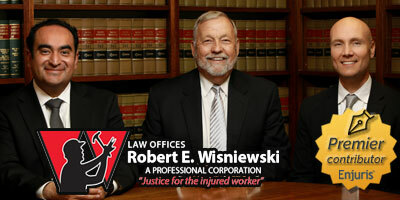 For personal injury lawsuits, the 2-year time limit begins on the date the injury occurs. However, if you’re unaware of the injury on the date it occurs, the “discovery rule” delays the clock until the date you discover the injury (or until the date you should have discovered the injury). Say you’re in a minor car accident on January 1, 2019. The car doesn’t have much damage and you don’t feel any pain. However, a week later you wake up with a stinging pain in your neck. You go to your doctor and they inform you that you’re experiencing the delayed symptoms of a whiplash injury caused by the car accident. When is the deadline for filing your lawsuit? Normally, the clock would start ticking on the date of your injury (January 1, 2019). This would mean you’d have until January 1, 2021 (2 years) to file suit. However, under the discovery rule, the clock won’t start until January 8, 2019 (the date your injury was discovered). As a result, you would have until January 8, 2021 to file suit. Claims involving children under the age of 18: When a minor is injured, the 2-year deadline for filing a personal injury lawsuit is delayed until the child turns 18. A similar rule applies to individuals found to be of “unsound mind.” For these individuals, the clock is delayed until the individual is declared no longer disabled. When a person leaves the state of Arizona: If the person who caused your injuries leaves the state after the accident but before you’re able to file suit, the period of absence won’t be counted as part of the 2-year statute of limitations period. In other words, the clock is paused while they’re out of state. Does the case have to be resolved by the filing deadline? A 2-year time limit under the statute of limitations doesn’t mean you have to resolve your case within 2 years. The statute of limitations only addresses when you must file your lawsuit. Some people want to wait until they’ve gathered all their evidence and undergone all their medical treatment before contacting an attorney to discuss filing a lawsuit. This is generally a bad idea. Keep in mind that lawsuits can be amended (changed to add or modify facts and causes of action). In fact, this is quite common, as most evidence isn’t collected until well after the lawsuit is filed. Enjuris tip: Learn how to find the right personal injury attorney. Don’t risk missing the deadline to file your claim just because you want to collect a bunch of evidence first. Use our free online directory to locate an experienced Arizona attorney sooner than later.